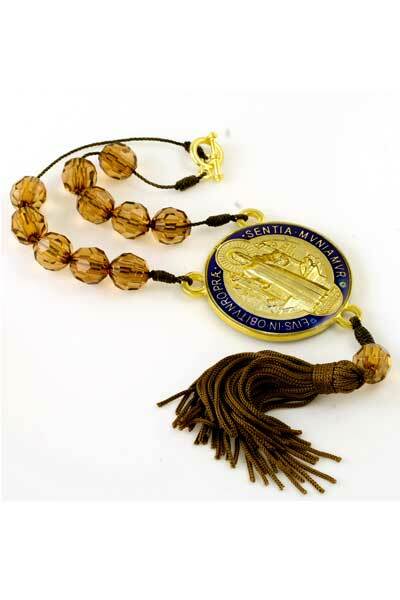 Protect yourself and your family while your driving with this awesome St Benedict auto visor rosary. 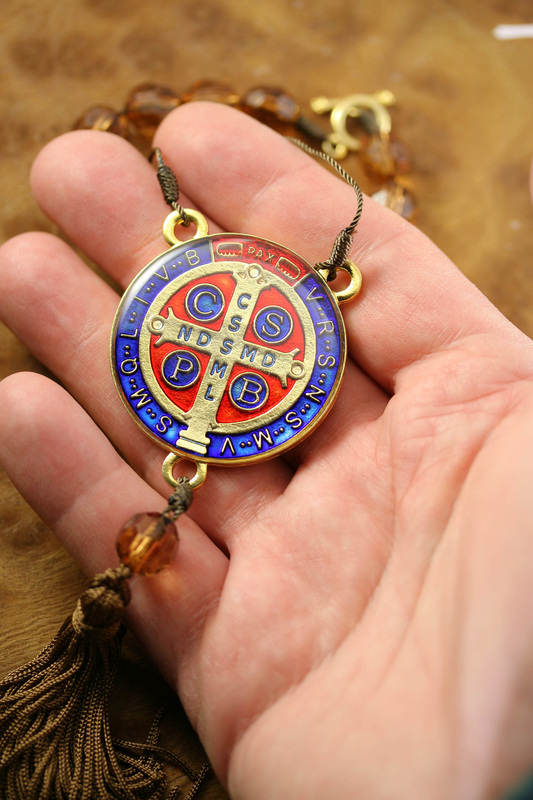 It features double sided gold tone St Benedict medal sealed in clear varnish. 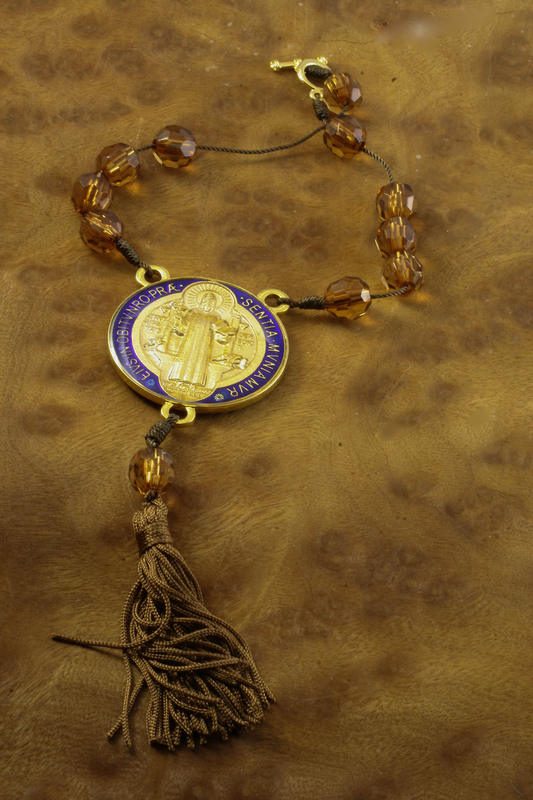 Vibrant colors and large size of the medal make it for a great car rosary. The beads are mounted on a strong cord for durability. 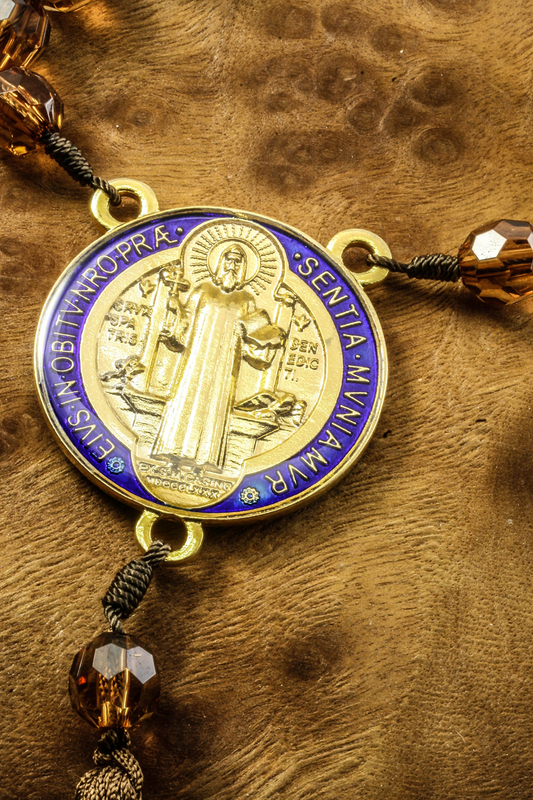 The medal diameter is 1.750". The end to end length 10". Made in Brazil by a Catholic company.